The Cuisinart CGL-310 is a grilluminate torch light that attaches easily and is designed to keep grilling long in summer nights. The grill light attaches to grill in seconds and with the touch of a button, the bright COB LEDs light entire grill surface. The unique 360° rotating arms of this grill light increases light spread, allowing to see more and cook with ease. With an adjustable clamp, the torch light attaches to most grill handles. The high/low brightness settings allows to decide how much light actually needed and its sleek design will look great with any grill. The Cuisinart Grilluminate Torch LED Grill Light has many exciting features for users of all types. 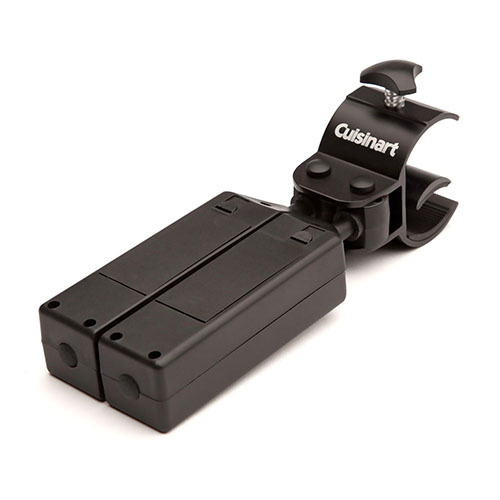 You can extend the lifetime of your Cuisinart Grilluminate Torch LED Grill Light with the purchase of a FactoryOutletStore Factory Protection Plan. 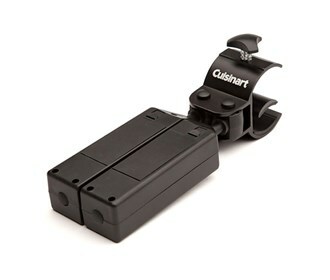 See the Cuisinart Grilluminate Torch LED Grill Light gallery images above for more product views. The Cuisinart Grilluminate Torch LED Grill Light is sold as a Brand New Unopened Item.